Say thank you to all of the Veterans who have served and are still serving the United States Armed Services! Blue hydrangea, red roses and white spray roses adorn a gathering vase finished with an American Flag. 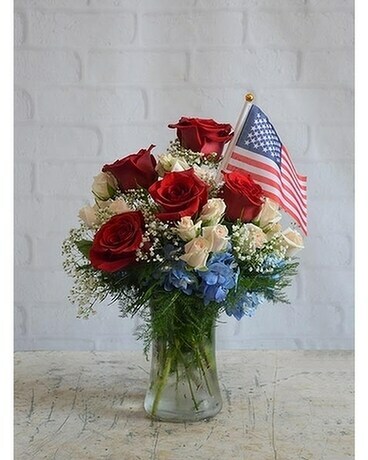 Send these patriotic blooms to someone you know today!